You couldn’t live in Minnesota during July 2016 without hearing about the tragic, violent, and unnecessary death of Philando Castile, a black man who was shot during a traffic stop by Jeronimo Yanez, a St. Anthony police officer. Castile’s girlfriend, Diamond Reynolds, captured the scene on Facebook Live. Protests broke out in the following days, which even shut down Interstate 94 for five hours on July 9. A community pulled together—one bound by shock, despair, and a desire for action. In the summer of 2017, the trial of Jeronimo Yanez was scheduled to begin in June. 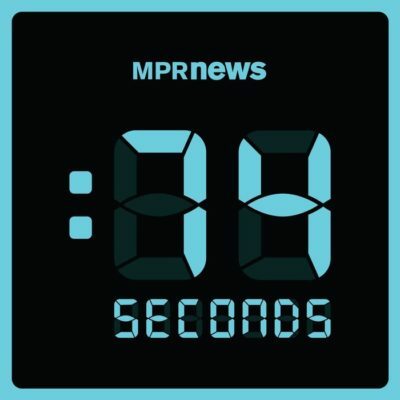 On May 21, Minnesota Public Radio began releasing episodes of 74 Seconds, a podcast that would provide background on and coverage of the trial as it happened in an attempt to “trace this case from the shooting all the way through to the upcoming trial.” The trial lasted 14 days, and Yanez was found not guilty on all counts. Ostensibly, since the trial is over and the verdict well-known, the podcast may seem irrelevant. Yet for those who haven’t been following the events, or who want to listen to a fairly in-depth breakdown of the trial in the time it would take to binge a few episodes of a Netflix show, 74 Seconds presents many compelling reasons to tune in. The podcast is hosted by Riham Feshir and Jon Collins, two reporters who have been covering police shootings for several years. The first two episodes take a look at Philando Castile (“The Driver”) and Jeronimo Yanez (“The Officer”), respectively. Each is given equal time and—as you would expect from MPR—evenhanded treatment. The third episode breaks down the 74-second traffic stop during which Castile was shot. The fourth episode prepares listeners for the upcoming trial, and the subsequent episodes capture the trial as it unfolds. Finally, in the last episodes Feshir and Collins attempt to button everything up. There’s audio footage from the vigil on the anniversary of Castile’s death, an episode devoted to the dash cam video of those 74 seconds, and an overview of the shooting of Justine Damond in Minneapolis a year after Castile’s death. What’s notable about 74 Seconds is its lack of sensationalism. In a post-Serial era, where podcasts featuring investigative reporting—fictional or otherwise—are extremely popular, it would be easy for reporters to succumb to high drama or conjecture. Yet most of the production is simply replayed audio pulled either from the dash cam, Reynold’s Facebook Live coverage, or police training videos. Adding anything to these sound bites would only distance listeners from the story; a story that is real, alive, and still unfolding. You can hear the fear, the anguish, and the disbelief in all of the unedited rawness, and that seems just as important as relaying the facts. Feshir and Collins do, however, leave a few doors open that could benefit from further exploration. In Episode 1, “The Driver,” Castile’s grandfather tells reporter Laura Yuen that Castile “worked day in and day out” and “wasn’t in any trouble.” Collins explains, “That’s something we hear a lot when black men are killed by police. Family members start listing all the reasons he shouldn’t have been killed. ‘He was a good guy . . . he wasn’t in any trouble . . . he wasn’t in a gang.’ That’s Philando’s family running through that same script.” At points like these during the podcast—and there are several—it’s hard to not want more; to not yearn for some kind of suggestion of a resolution to a system that demands this script from family members who have just lost a loved one to such horrific violence. During moments like these, the podcast’s impartiality seems surreal and even cold. Despite that, the audio is heart wrenching and gut wrenching. The trial and its initial cliffhanger may be over, but the podcast is still relevant for educating us all about police violence in Minnesota and beyond. It’s also worth a listen as a testament to the protesters and activists who insist on being heard, and to Castile’s family as they continue to seek justice.